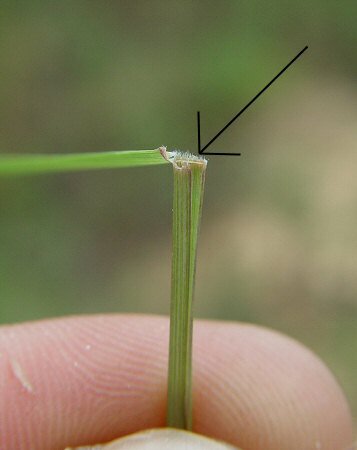 Arrows show coil of awns and suture between grain and awn column. Habitat - Sandy fields, sandhills, sandy roadsides. 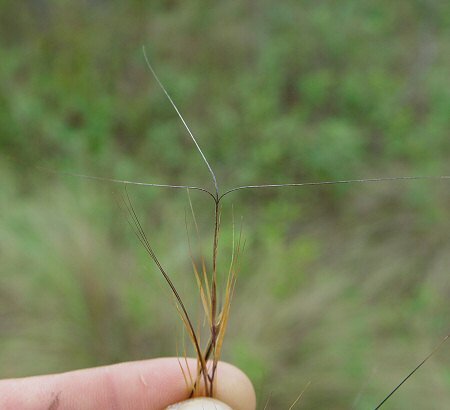 Other information - This species can be found in just a handful of southern Alabama counties that contain sandhill habitats. 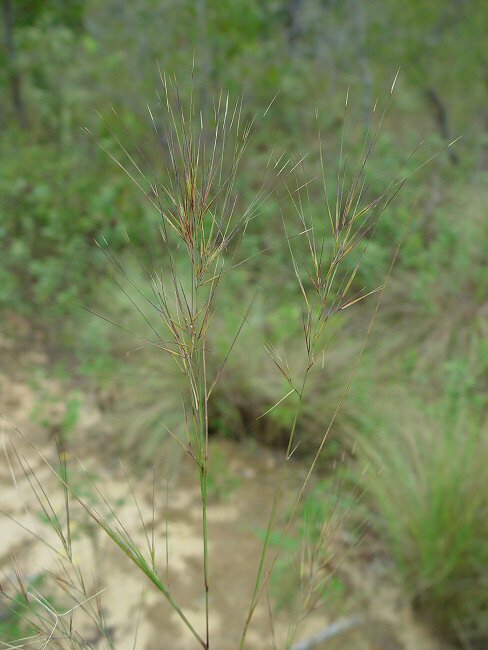 The plant has a more broad, fan-shaped inflorescence than most other species of Aristida in the state. 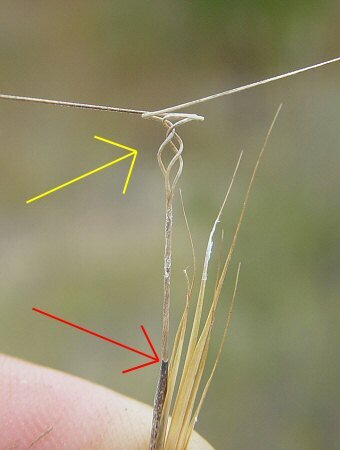 The long awns coil at the base with maturity and the awns fall intact as a unit from the grain. 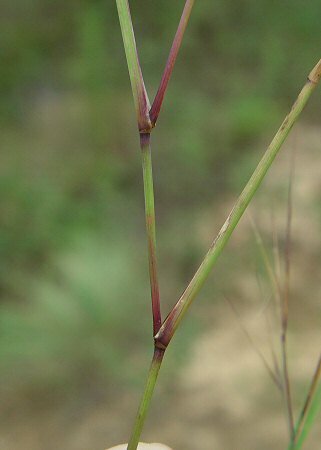 This species has glabrous stems that branch much. 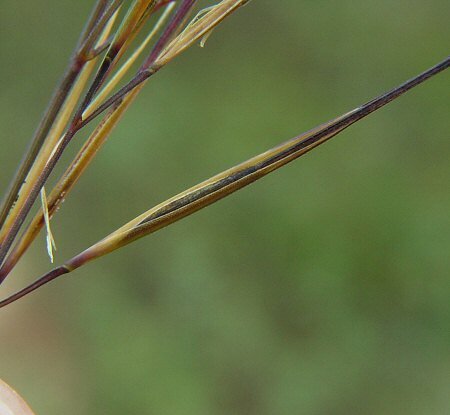 The genus name Aristida derives from the Latin "arist(a)" meaning "an awn, bristle" for the long awns of the fruits. The species epithet tuberculosa derives from the Latin "tubercul" meaning "a little knob or swelling" referring to the enlarged bases at the branches.